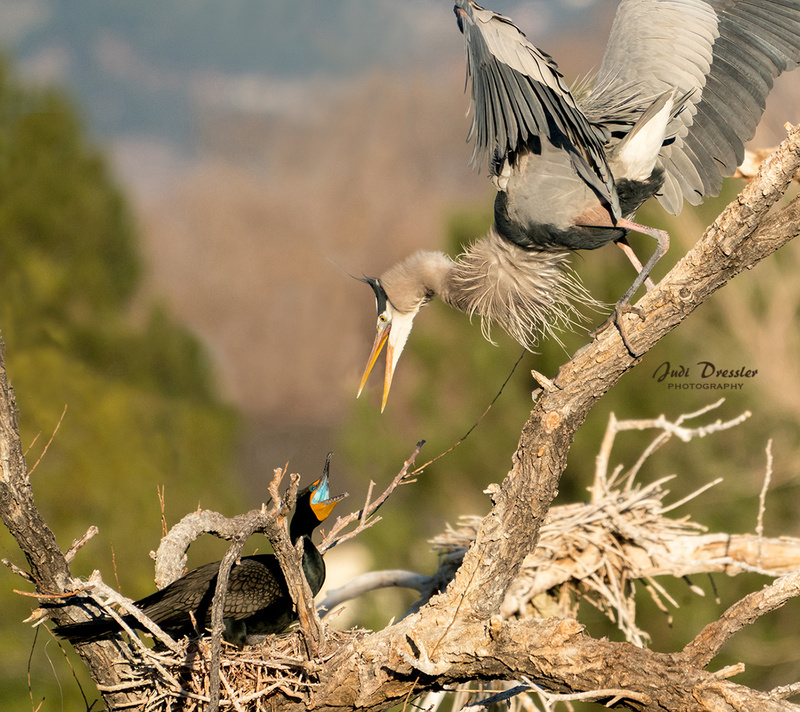 This male Great Blue Heron was looking for sticks to improve his and his love’s nest, but when he started looking a little too close to a neighbor’s nest, that of this female Double-crested Cormorant, she objected strenuously! “Leave my nest alone”, she seems to be saying. The Great Blue backed away, but not until he was quite sure she wasn’t going to let him get at least one stick!